Hanoi is famous for its chaos. It’s the city of a million murderous motorcycles, of shops that spill out into the street and sidewalks that are swallowed up by parking. The city is loud, crazy, and very often intimidating. But this changes in the early morning hours. I woke up at five thirty and disturbed the security guard from his snooze as I snuck to the door and entered out into a world of calm and cool. In Asian cities, I developed a love for the early mornings. The street was comfortingly still, I could actually hear birds and the people on the street ignored me as they went about their business. The shop’s shutters were only half open, like sleepy eyelids, the women that ran them busy in the street, washing dishes, preparing herbs, waiting for the vendors with fresh produce. Early tourists were already exploring, watched by locals sipping their breakfast from small impromptu restaurants on street corners- the ones open even before the established cafes. My feet led me south, past St. Joseph Cathedral, past the ‘Hanoi Hilton’ to a lake south of the old quarter. 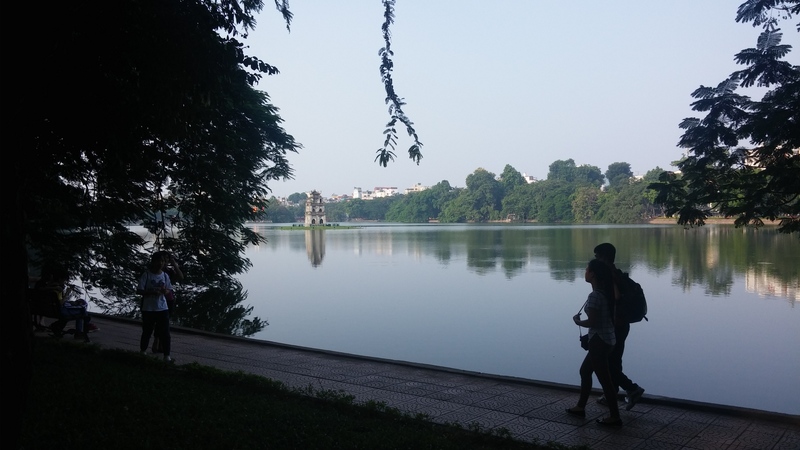 The day before I had run around the beautiful and central Ho Hoan Kiem Lake. While fun, it was a very small loop to run around and packed with people, locals and tourists alike. This new route was further afield from the tourist area, through bits of Hanoi I had not seen yet, out of the old quarter. I was heading back to my soviet comfort zone- to Lenin Park, where lies Ho Bay Mau Lake. Most of the larger parks in Hanoi seemed to have lakes, often with small islands, bridges and interesting temples or statues. I sidestepped a woman washing her hair in the street, stared a bit people brushing their teeth and tried to pick up the pace to make sure it wouldn’t be too warm by the time I got back. By the time I reached it, the Lenin Park was already busy. Enterprising individuals were selling drinks and countless people went about their daily exercise. Badminton, aerobics, running and walking were all popular, and groups competed for space on the narrow paths or between old, rusting child-sized amusement park rides. As in Beijing, I stood out among the crowd: taller and disoriented, I attracted attention as I finished my loop and tried to find an exit from the fenced in complex. A few football players and an elderly gentleman chatting with his friends began to point me in the right direction, laughing and shouting words that I interpreted as encouragement. 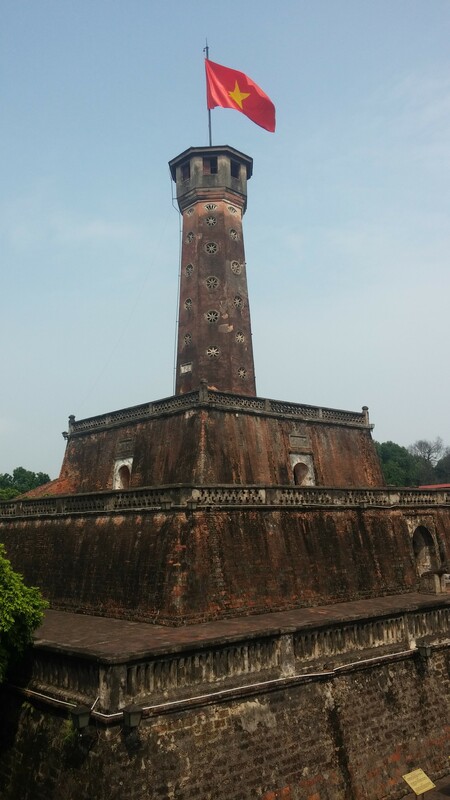 Any tourist, I think, should try and make it up early enough one morning to see this sleepy side of Hanoi. Not only is the cooler air a luxury, it is also fascinating to see the city in its early morning routine. Like every city it has a different feel, a different attitude, and gives a different impression. It’s one worth saving in your memory box. Love this! Totally agree on getting up early for a walk or run, always try and do it in a new city! Thanks for reading! I’m finding its especially nice in the warm cities in Asia, but I might start trying it in chiller places as well. Thabks tor reading! There are many more posts to come!